Sprint officially pulled the plug on its iDEN Nextel National Network at 12:01 am Eastern time on Sunday morning, June 30. Nearly 30,000 iDEN installations were taken off air. Decommissioned equipment from the iDEN sites will be recycled where possible. Sprint said its work includes gutting hundreds of cell sites of obsolete iDEN equipment -- from radios to server racks, antennas to air conditioners -- all will be staged for recycling vendors. Most concrete shelters that house iDEN cell sites will be crushed and turned into composite for roads and bridges. Sites where CDMA and LTE equipment is co-located will be left intact, minus the iDEN gear. The recycling project is expected to continue into early 2014. The Sprint iDEN network traces its roots to the 1987 foundation of FleetCall, which later became Nextel Communications in 1993. Sprint acquired Nextel in 2005. The Nextel network operates in the 800MHz Specialized Mobile Radio band and uses iDEN technology developed by Motorola. In May 2012, the FCC issued an the order revising a burdensome legacy regulation that constrained the use of 800 MHz Specialized Mobile Radio (SMR) licences in LTE deployments. 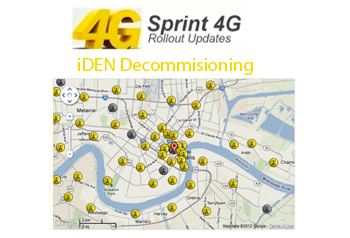 In 2012, Sprint selected Goodman Networks, Overland Contracting, Inc., a construction affiliate of Black & Veatch, Pyramid Network Services LLC and WesTower Communications Inc. to decommission its iDEN network. Nextel developed its nationwide network using Motorola's Integrated Digital Enhanced Network (iDEN) technology, combines a digital wireless phone, two-way radio with "push-to-talk" feature, alphanumeric pager and "always connected" internet microbrowswer capabilities. 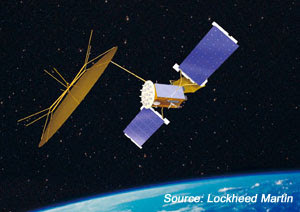 iDEN leverages TDM, which uses Global Positioning Satellites (GPS) to reference a synchronized time, and then divides the channel into time slots. Sprint acquired Nextel in 2005. 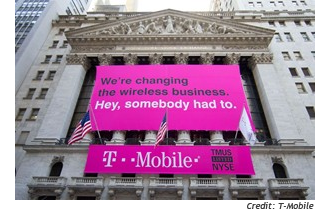 T-Mobile USA will acquire 10 MHz of Advanced Wireless Services (AWS) spectrum from U.S. Cellular for $308 million in cash. The deal requires FCC and DOJ clearance. The spectrum covers 32 million POPs in the Mississippi Valley region, notably St. Louis; Nashville; Kansas City; Memphis; Lexington; Little Rock-North Little Rock; Birmingham; New Orleans; and Louisville. T-Mobile said the additional spectrum will allow for an incremental roll-out of LTE in new markets and expand the existing 4G LTE bandwidth in the important Mississippi Valley region. Earlier this month, T-Mobile reported that the migration of MetroPCS customers onto its network was ahead of schedule and moving smoothly. The company is making HSPA+ and LTE compatible devices available to MetroPCS customers as well as allowing them to bring their own unlocked compatible HSPA+ or LTE phone. The full migration is expected to be complete by then of 2015. Tom Minichiello, acting chief financial officer, resigned to take up the CTO role at Westell. 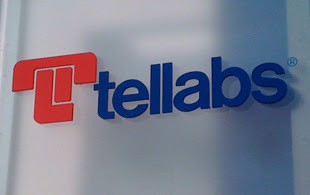 He had served as Tellabs' acting CFO since May, following the resignation of Andrew Szafran. In November 2012, Tellabs named Daniel P. Kelly as its new chief executive officer and president. Kelly, 51, had served as Tellabs acting CEO and president since June 27, 2012, following the passing of Rob Pullen. Previously, Kelly was executive vice president of global products at Tellabs. SanDisk Ventures announced an equity investment in Panzura, a start-up offering flash-based network attached storage (NAS) solutions for enterprise companies. Panzura’s scalable offering uses flash memory to store data off-premise in the "cloud," reducing customer system, support, administration, power and cooling costs. Panzura, which is based in San Jose, California, offers a cloud-integrated storage system for enterprises with network attached storage (NAS) functionality, native cloud support, a globally distributed file system, built-in FIPS 140-2 certified security and data protection, as well as high speed data transfer rates to and from the cloud. The company says the physical location of where data resides no longer affects how it is used. Earlier this month, Panzura announced $25 million in Series D funding for its cloud storage solution. The company said its customer base grew by 700 percent in 2012 and that it now had the largest number of petabytes under management. The latest funding round was led by Meritech Capital Partners with participation from its existing investors Matrix Partners, Khosla Ventures, Opus Capital and Chevron Technology Ventures. 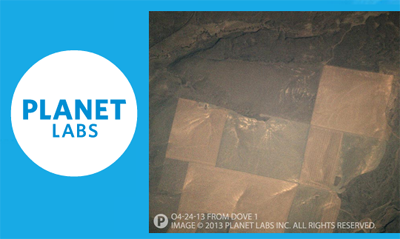 Planet Labs, a start-up based in San Francisco, unveiled plans to launch a large fleet of Earth imaging satellites. The company's mission is to provide imaging services on relatively short notice at an optical resolution of 3 to 5 meters, which should be clear enough for agricultural and forestry applications while not compromising personal privacy. Planet Labs' constellation of low Earth satellites will act in unison to provide a better view of desired targets. The first two demonstration satellites, named Dove 1 and Dove 2, were launched in April 2013 and are already delivering imagery. Further launches are planned for 2014. "Planet Labs will create an entirely new data set, with both humanitarian and commercial value,” said Tim O’Reilly of O’Reilly AlphaTech Ventures. “We've become used to having imagery of the entire Earth. What we haven't yet understood is how transformative it will be when that imagery is regularly and frequently updated." Investors include Draper Fisher Jurvetson (DFJ), O’Reilly Alpha Tech Ventures (OATV), Capricorn Investment Group, Founders Fund Angel, Data Collective, First Round Capital, and Innovation Endeavors. Roamware introduced a roaming Big Data Analytics solution for mobile operators in collaboration with IBM. Roaware's RWisdom provides dynamic Big Data driven insights on roaming subscriber behavior, helping mobile operators to open up new revenue streams by offering dynamic location specific insights on subscriber behavior in an information-as-a-service model to industries such as retail, travel and financial services. Roamware is building RWisdom on IBM’s Big Data platforms including both IBM InfoSphere BigInsights and IBM InfoSphere Streams platforms. Metacloud, a start-up based in Pasadena, California, raised $10 million in a Series A funding for its on-premise, private cloud-as-a-service. Metacloud said its Carbon|OS combines the simplicity of the public cloud with the performance, security and cost advantages of the private cloud, enabling businesses to scale dynamic OpenStack applications quickly. The funding was led by Canaan Partners and included existing investors Storm Ventures and AME Cloud Ventures. 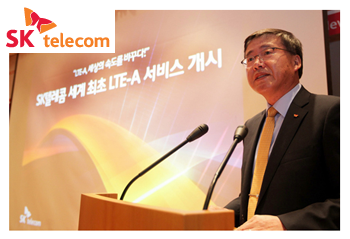 SK Telecom launched the world's first LTE-Advanced (LTE-A) service through smartphones. The LTE-A service offers download speeds of up to 150 Mbps, which is two times faster than its regular LTE service, and 10 times faster than its 3G network. LTE-A coverage initially is available in Seoul and central city areas of Gyeongg-do and Chungcheong-do. Expansion to 84 cities nationwide is planned. At top speed, LTE-A users can download an 800MB movie in just 43 seconds. The LTE-A implementation leverages several advanced mobile network technologies including Carrier Aggregation (CA) and Coordinated Multi Point (CoMP). SK Telecom plans to implement Enhanced Inter-Cell Interference Coordination (eICIC) in 2014. CA supports up to 150 Mpbs speed by combining two 10 MHz components carriers to form an effective bandwidth of 20 MHz. The company said further advancements should yield rates up to 300Mbps speed by aggregating two 20MHz component carriers by 2015, and become capable of combining three component carriers by 2016. An uplink capability using carrier aggregation should also be possible by 2016. The current CA standards allow for up to five 20 MHz carriers to be aggregated. 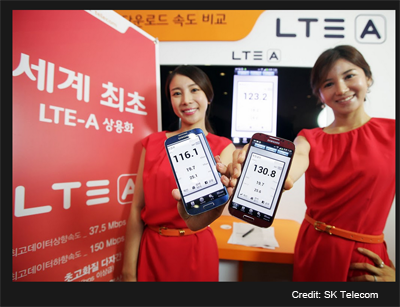 SK Telecom is offering LTE-A service at LTE prices. Customers will not have to pay more for the faster service. Samsung's Galaxy S4 LTE-A smartphone is the first compatible device It will come in two colors, red (exclusively available at SK Telecom) and blue. The operator has secured an initial supply of 20,000 units of Galaxy S4 LTE-A. SK Telecom expects to have seven LTE-A devices on offer later this year. SK Telecom' LTE-A phones will feature embedded services like 'Safe Message' and 'Safe Data Backup'. Safe Message is designed to protect users from smishing (SMS phishing) attacks by enabling them to check whether the message is sent from a trusted source; and 'Safe Data Backup' enables users to upload personal data stored in their smartphones to the cloud server to keep data safe from smartphone loss and accidental deletion. 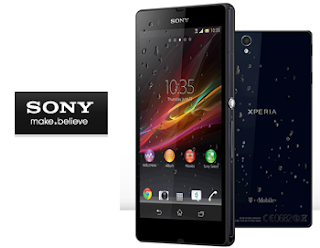 The company also plans to mount these features on all its to-be released LTE phones as well. SK Telecom is launching a group video calling service for up to four users. The service, an upgraded version of the 3G network-based multi-party video conferencing service, will support 12 times better video quality and 2 times clearer audio quality. SK Telecom's 'Btv mobile,' an IPTV service with 550,000 paid subscribers, will begin providing full HD (1080p resolution) video streaming service, for the first time in the world, from early July. Full HD video streaming requires a speed of 2Mbps or above, which is well supported by the LTE-A network. The company will also launch 'T Baseball Multiview,' to enable users to watch two different games on one screen in July 2013. T Baseball is a free, real-time professional baseball game broadcast service optimized to the LTE network. Launched in August 2012, the service is currently enjoyed by 1.1 million users. SK Telecom plans to launch 'T Freemium 2.0,' a free multimedia content package that offers three times more contents – e.g. dramas, TV entertainment shows, music videos, sports game highlights, etc.- than its previous version, 'T Freemium,' in July 2013. SK Telecom plans to launch a new HD video-based shopping service in August 2013 to make shopping more fun and convenient for customers. Users will be able to seamlessly watch 6 different home shopping channels on one screen. SK Telecom's online/mobile music portal service MelOn just opened a new service category to allow users to listen to original CD quality music by downloading Free Lossless Audio Codec (FLAC) files. SK Telecom will hold a large-scale contest named 'LTE-A i.con' to boost the creation and provision of diverse innovative contents and applications optimized for the LTE-A network. NTT Communications is launching the world’s first software-defined networking (SDN)-based cloud migration service. 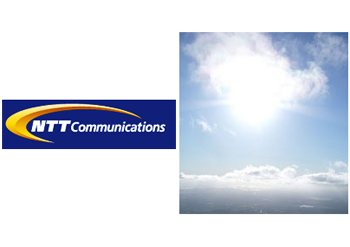 The NTT Comm On-premises Connection links customer on-premises systems with NTT Com’s Enterprise Cloud via the Internet using SDN technology. NTT Comm said overcoming complexity will be the driving factor when considering migrating an application from on-premise to the cloud as this requires servers and data to be transferred sequentially. Conventionally, this involves many changes to network equipment settings and IP addresses in both servers and clients, which is a huge headache for many customers. 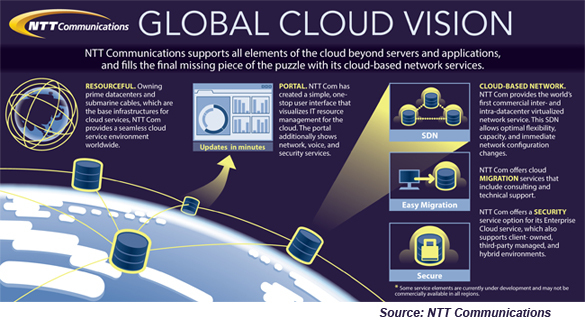 NTT Comm's On-premises Connection Service greatly simplifies the process through incorporation of unique SDN technology, which NTT Com developed in cooperation with VMware. By connecting on-premises systems and cloud in the same network segment using SDN-compatible gateway equipment installed in the customer’s system, the service substantially reduces the workload normally required to design and configure on-premises networks. Also, once in the cloud environment after migration, customers can continue to use the existing IP addresses of their on-premises systems, a further reduction of workload. Highly secure, encrypted data can be transferred between on-premises systems and Enterprise Cloud via the Internet at up to 100 Mbps. SDN technology enables customers to make changes promptly and flexibly, such as adjusting bandwidth to transfer large data in off-peak hours. Customers can even use their existing Internet connection lines for cloud migration. On-demand use helps to minimize the cost of cloud migration because payment for the service, including gateway equipment, is on a per-day basis. The initial fee of 231,000 yen includes the cost of installing gateway equipment at the customer’s site. The daily charge is 11,718 yen and the maximum monthly charge has a ceiling of 234,150 yen. Internet connection from on-premises systems and two fixed global IP addresses for gateway equipment are charged separately. The service is available in Japan starting this week and will be offered later in other markets worldwide. ZTE is showcasing a new Cloud Radio Solution for 4G network optimization at the Mobile Asia Expo conference in Shanghai. China Mobile is already testing ZTE’s Cloud Radio Solution to optimize trial TD-LTE networks in Guangzhou. ZTE's Cloud Radio features newly developed Cloud Scheduling and Cloud Coordination modules for LTE network operators. ZTE’s Cloud Scheduling module utilizes a central scheduler to manage network resources on a real-time basis and achieve unified network scheduling. The Cloud Coordination module enables seamless and borderless coordination for the whole network to improve user experience. Cloud Scheduling realizes coordination at the cell level from a macro perspective, while Cloud Coordination realizes coordination at the user level from a micro perspective. 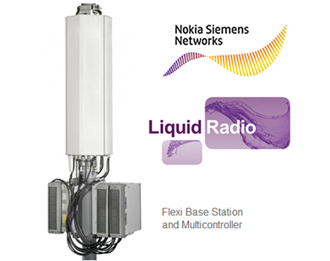 The two-level coordination helps operators build smooth LTE networks. The company said its Cloud Radio solution will prove most use for mitigating signal interference issues at the cell edge. multiple-layer coordination within bases stations and network users, the approach should lead to a better user experience. In April 2013, ZTE and China Mobile conducted the Phase I Cloud Radio Solution verification in a project site in Guangzhou. When the Cloud Scheduling function was enabled with the network at more than 70% loading, the data throughput volume of cell edge users increased by 40%. When the Cloud Coordination function was enabled, the throughput volume increased between 20% and 100%, with the improvement most pronounced for cell edge users. The test by ZTE and China Mobile was the first site-level verification of LTE-Advanced coordination technology in the global telecommunications industry. China Mobile has now expanded the scale of the test in order to collect more performance data. In June 2013, ZTE and China Mobile started the Phase II large-scale Cloud Radio verification in the Tianhe commercial area of Guangzhou, a complex wireless environment with a variety of data transmission requirements. 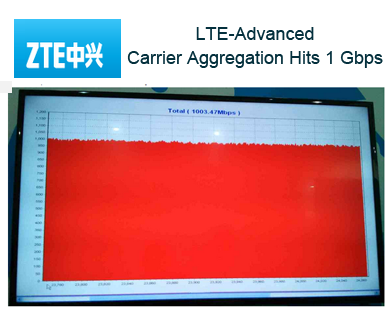 ZTE has achieved wireless data transmission rates of 1 Gbps in a live demonstration using LTE-Advanced. In the demonstration, ZTE deployed Carrier Aggregation technology with four carrier frequencies on the F-band（1.9G Band） and D-band （2.6G Band）. Carrier Aggregation is a core technology in the LTE-Advanced (LTE-A) standard, combining two or more carrier frequencies sharing the same or different bands into one channel, increasing the peak transmission speeds of TD-LTE cells by multiple times. ZTE used three carrier frequencies in the 2.6 G band, and on carrier in the 1.9 G band to complete the 1Gbps (F+D CA @ 4×4MIMO) demonstration successfully. 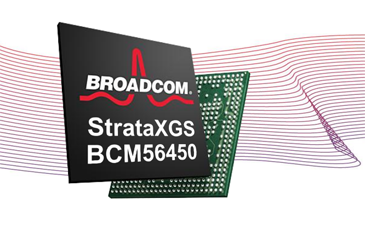 Broadcom introduced its latest StrataXGS Ethernet switch chip for the aggregation layer of mobile backhaul networks. 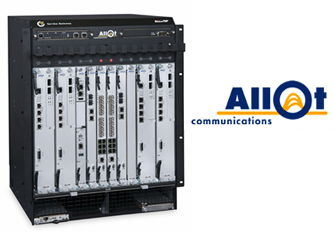 The StrataXGS BCM56450 switch features a traffic manager that provides fine-grained quality of service and offers 10Gbps serial interfaces. The single-chip solution, which is part of Broadcom's switching portfolio for network access and aggregation, integrates many capabilities onto a single device, including high bandwidth switching with a control-plane processor, hierarchical traffic management, packet timing recovery, and advanced operation, administration and maintenance (OAM) functions. The network aggregation layer could be used for multiple network architecture, including those based on VLANs, MPLS or MPLS-TP. The device, which is currently sampling, is implemented in 40nm. Production is slated for 1H 2014. Oracle released a new version of its Communications Services Gatekeeper featuring pre-integrated solutions to help network operators monetize over-the-top (OTT) content. Essentially, the Oracle Communications Services Gatekeeper is an open, standards-based service exposure platform. The new release provides analytics and partner management portals that leverage APIs to track and bill for specific OTT services. The Oracle Communications Services Gatekeeper runs on commercial-off-the-shelf platforms and offers built-in integration to Policy and Charging Rules Function (PCRF), online charging systems and network call control. “In a competitive communications marketplace, it is vital that CSPs can rapidly deploy new and exciting services that meet customer and partner expectations. The latest release of Oracle Communications Services Gatekeeper provides CSPs with industry-standard technology combined with sophisticated management tools and analytics to securely open up networks to third-party services and applications while also helping to monetize those services and increase customer satisfaction,” said Bhaskar Gorti, senior vice president and general manager, Oracle Communications. ADVA Optical Networking's 16 Gbps Fibre Channel (FC) card has achieved Brocade qualification. The card delivers 16 Gbps FC over wavelength division multiplexing (WDM) networks, enabling enterprises to transport data across increasingly large distances. It has now completed interoperability testing as part of Brocade's Gen 5 Fibre Channel program and has already been deployed by a number of financial organizations. 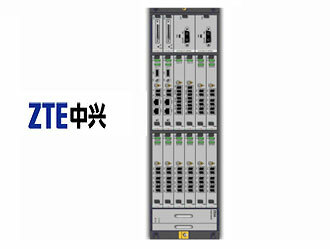 The China Education and Research Network (CERNET) has deployed Compass-EOS r10004 modular routers with multi 100Gbe and 10GbE links in its production next-generation exchange point (CNGI-6IX) connecting universities and institutes across China and to link to the global Internet. CERNET is funded by the Chinese government and connects more than 2,000 universities with more than 20 million users. 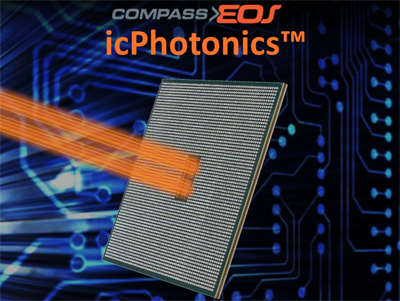 Earlier this year, Compass-EOS introduced its silicon-to-photonics router that essentially leverages an on-chip optical mesh and electronics to route high-densities of 100GbE and 10GbE. The company's first product, r10004, is a carrier-grade, modular platform offering 800 Gbps Capacity in a 6U enclosure. It offers 2 x 100G ports or 20 x 10G ports with full Layer 3 routing functionality for core, peering or aggregation deployments. 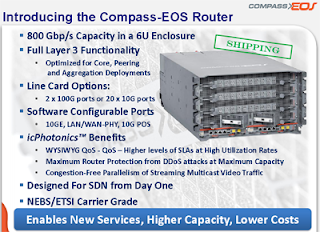 In April 2013, Compass-EOS confirmed that NTT Communications has selected its new r10004 core-grade modular routers for use in its high-capacity transpacific network. Huawei is releasing the source code for its Protocol-Oblivious Forwarding (POF) technology, which is a software-defined networking (SDN) forwarding implementation. Users can freely download and run the software, modify the source code, or develop new features. 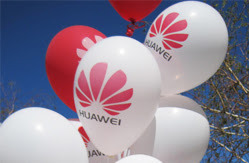 Huawei said the goal of its Protocol-Oblivious Forwarding is to evolve the Open Networking Foundation's OpenFlow protocol towards a more flexible programming model where forwarding devices are no longer limited by pre-defined packet protocols or forwarding rules. Data plane hardware is not limited by hard­-wired protocol implementations. The open-source project provides source code and documents for POF Controller and POF Switch prototypes. The POF Controller is a BSD/Apache-licensed and Java-based OpenFlow controller. It provides a GUI for switch control and configuration. The POF Switch is a BSD-licensed and Linux C-based virtual switch. "We believe carriers and users of networks can benefit from more flexible switches and reduce the total cost of ownership by focusing on building simpler, fit-for-purpose networks where only the required forwarding behaviors need to be programmed in each switch. Such forwarding plane evolution technologies help remove protocol dependency in forwarding devices and can ultimately enable support of any existing/customized packet-based protocols via generic instructions. We believe that openness and software-based programmability of forwarding devices can help increase the adoption of OpenFlow, particularly in the carrier space where we see a huge potential for simplification." said Dr. Justin Joubine Dustzadeh, VP of Technology Strategy & CTO of Networks at Huawei Technologies. 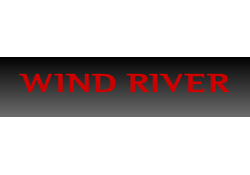 Wind River is developing Open Virtualization Profile software for implementing high performance, open-source, real-time kernel virtualization in next generation telecommunications equipment as well as network functions virtualization (NFV) and cloud environments. Open Virtualization Profile is a high value add-on software profile for Wind River Linux developed by optimizing open source Kernel-Based Virtual Machine (KVM) technology. This allows the deployment of network services on virtual machines without the performance loss associated with using traditional, propriety IT-like virtualization products. The first release is expected in Q3 2013. "As networks are pushed to their limits, virtualization is becoming an increasingly important approach. Operators are looking toward NFV to support the transition to scalable platforms that enable flexible deployment of network services," said Jim Douglas, senior vice president of marketing at Wind River. "With Wind River Open Virtualization Profile, we are delivering a real-time virtualization solution to support the rigorous SLAs of a carrier network and enable them to gain the flexibility, scalability, and cost and energy benefits cloud data centers already enjoy." Nokia Siemens Networks achieved a record 56 Mbps peak upload throughput in a TD-LTE network using its commercial 4G base station with multiple antenna technology and a single 20 MHz carrier. The company set this record in a test network in Hangzhou, China, using its Flexi Multiradio 10 Base Station and Single User Multiple Input Multiple Output (SU-MIMO) technology. Nokia Siemens Networks claims uplink records for both SU-MIMO and Multi User-Multiple Input Multiple Output (MU-MIMO) technologies. 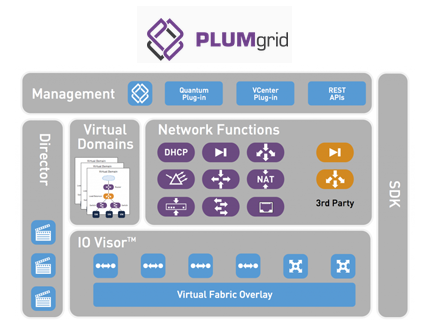 PLUMgrid, a start-up based in Sunnyvale, California, released its PLUMgrid Platform, an infrastructure virtualization solution that enables the creation of on-demand programmable networks, which the company calls Virtual Domains. The goal its to allow administrators to create, copy and deploy secure multi-tenant virtual networks in seconds. The PLUMgrid Platform integrates security, operations and maintenance tools, and network visibility and analytics. It runs on existing standard-based x86 servers to deliver dynamic and scalable virtual data center networks. The company says network services can be added or removed in seconds, without network disruption or downtime. PLUMgrid is building an ecosystem of industry partners, including A10 Networks, Arista Networks, Broadcom, Cavium, Check Point Software Technologies, Citrix, Cumulus Networks, F5 Networks, Ixia, Mellanox Technologies, Palo Alto Networks, Silver Peak and Zerto. PLUMgrid was founded in 2011 and is backed by US Venture Partners and Hummer Winblad Venture Partners. 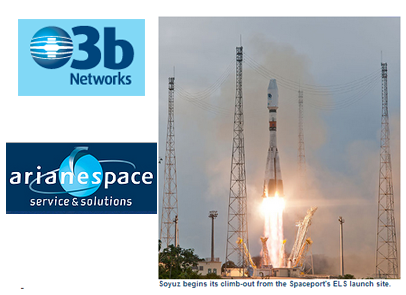 O3b’s first four satellites were successfully launched by an Arianespace Soyuz rocket from the Guiana Space Center. O3b is deploying a network of 12 satellites to deliver broadband connectivity to billions of people across emerging markets who have never had access to this level of connectivity before. Thales Alenia Space produced the Ka-band relay platform. A second group of four O3b satellites will be launched in September, completing the first phase in O3b’s constellation and ahead of the launch of the company's service later in the year. This mission marked the fifth Soyuz launch from the Guiana Space Center (CSG). 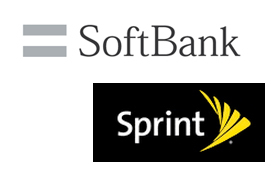 Sprint shareholders voted overwhelmingly in favor of Softbank's acquisition proposal. The deal still requires FCC approval. 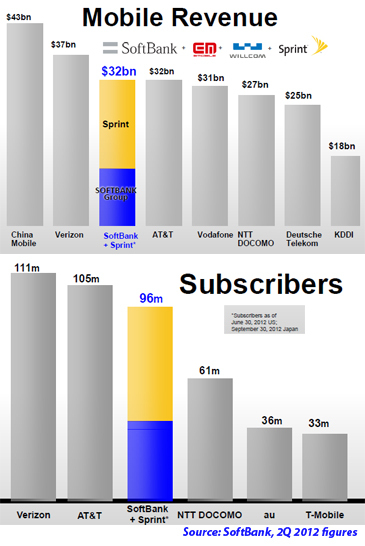 The companies anticipate the merger will be consummated in early July 2013. The OpenDaylight Project, a collaborative open source project to advance Software-Defined Networking (SDN), now has a total of 27 members. The latest companies to join are ADVA Optical Networking, Ciena, Guavus and Versa Networks. OpenDaylight has been able to make the base controller architecture available within 60 days of the project’s launch and is now actively building the merged controller, as well as a Virtual Tenant Network (VTN) application. 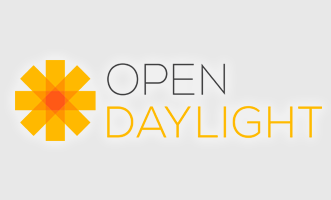 OpenDaylight is an open source Collaborative Project at The Linux Foundation. Allot Communications has secured orders from three of the world’s top ten telecommunication operators to assist in their LTE network rollouts. All three orders are from existing customers, including two in Europe and one in the United States. These operators will use the Allot Service Gateway as part of their initial LTE deployments. Financial terms were not disclosed. Allot recently announced availability of its pure-play, 3GPP-compliant Traffic Detection Function (TDF) for LTE networks for helping operators analyze subscriber behavior and monetize their broadband networks. TDF - part of the 3GPP Release 11 LTE standard - provides network visibility to better analyze and respond to broadband traffic. Allot said its TDF-enabled Allot Service Gateway can be used by operators to monetize OTT traffic by leveraging application awareness and transaction information in order to deploy innovative pricing plans, drive new service revenues and increase customer loyalty. Vitesse Semiconductor closed $40.2 million through a public offering for 18,720,000 shares of its common stock, which includes the exercise in full by the underwriters of their over-allotment option, at a per share price to the public of $2.15. Vitesse will receive net proceeds of approximately $37.5 million after deducting the underwriting discount and estimated offering expenses. Certain officers and directors of Vitesse participated in the offering. Compass-EOS is using McObject's eXtremeDB High Availability database in its new r10004 core router. Specifically, the Compass-EOS r10004 router relies on eXtremeDB High Availability’s replication features to maintain two fully synchronized copies of the control plane database, on active and standby controller cards. If the main database instance becomes inoperable due to hardware or software failure, its responsibilities are immediately assumed by the standby. This enables Compass-EOS’s core router to offer non-stop forwarding (NSF), protecting users against unplanned downtime. AT&T is launching new Innovation Centers in Atlanta and the Dallas-Fort Worth areas to speed up innovation in Digital Life, connected car, connected devices, home entertainment and machine-to-machine technologies. The AT&T Foundry in Atlanta, which is adjacent to Georgia Tech, will test and develop products and services for Digital Life, AT&T’s recently-launched home security and automation service. The team will also create new apps and services related to the “connected car,” mobility, emerging devices, and AT&T U-verse. Cisco will be host sponsor and will help identify key third-party developers, startups, investors, inventors and other entrepreneurs to bring into the facility. The new AT&T Foundry Machine-to-Machine and Connected Device (M2M/CD) center in Plano, Texas will focus on platforms, infrastructure and tools for M2M. “Since its founding three years ago, the mission of the AT&T Foundry® has been to identify great ideas, put the right people and technology ecosystem around them and move them quickly to market,” said John Donovan, Senior Executive Vice President of AT&T Technology and Network Operations, AT&T Inc. “As a result, our customers are benefitting from great products and services that set the pace for innovation and our company is realizing more enhanced efficiencies internally. 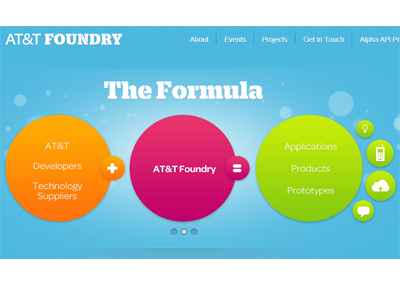 The AT&T Foundry program was launched in 2010 to identify solutions both inside and outside of AT&T to some of the most pressing needs facing the company and the industry. Some innovations that have resulted include the broad deployment of Self-Optimizing Network (SON) technology throughout the AT&T network through a collaboration Intucell. The idea was first introduced to AT&T via a "fast pitch" in collaboration with Amdocs and then honed at the AT&T Foundry. Another innovation is Remote Patient Monitoring (doctors and other caregivers remotely monitoring a patient’s pulse rate, weight and other parameters over an LTE connection) and SafeCell (an app for fleet managers to monitor and restrict drivers’ use of mobile devices while behind the wheel). Cisco announced a major revamp of its enterprise networking line, including new and updated Cisco Catalyst switching and Integrated Services Router products. Cisco, which this year has been updating its entire service provider and enterprise networking portfolio to become open and programmable, said a key objective is to enable applications to get the networking information they need to offer more innovative services to end users with less hands-on administration from IT professionals. Cisco ONE is Cisco’s portfolio that addresses SDN and, more broadly, incorporates programmability across the network infrastructure to enable innovation, investment protection and lower operating expenses. 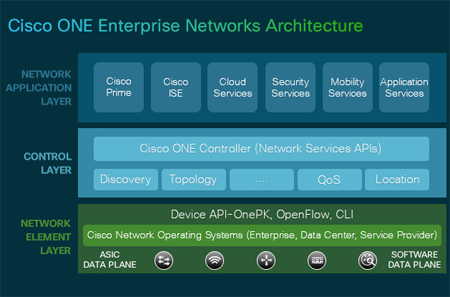 Within the enterprise, the Cisco ONE Enterprise Network Architecture brings openness and programmability to the campus and branch, making them more agile, high-performance, and application-savvy, all while adding value to existing network resources. Cisco Catalyst 6807-XL modular switch for the next-generation campus backbone, optimized for 10/40/100 Gbps and based on the Catalyst 6500 for investment protection. The Catalyst 6807-XL is a 7-slot, 10-rack-unit modular chassis with up to 880 Gbps per slot capacity and 11.4TB per port switching capacity. Cisco Catalyst 6880-X semi-fixed switch enhances Cisco’s midmarket portfolio with 10 Gbps advanced services for smaller and mid-size campus deployments. The Catalyst 6880-X is a 3-slot, 4RU switch with 16 fixed 10 Gbps port Supervisor engine and four half slots for optional 10 Gbps or 40 Gbps line cards, supporting up to eighty 10 Gbps ports or twenty 40 Gbps ports. Cisco Catalyst 6800ia Instant Access switch provides programmable, one-touch deployments for simplified Catalyst 6000 campus operations. The Cisco Catalyst 6800ia virtually consolidates access switches across multiple locations into one extended switch, and includes all the feature richness of the Catalyst 6800 and 6500 switches for access networks. Cisco 4500E Supervisor Engine 8E brings Cisco Unified Access to the most widely deployed modular access switch, allowing customers to preserve their wired infrastructure investments by extending common features, resiliency and granular QoS to wireless. The fully programmable Cisco UADP ASIC, introduced in January with theCisco Catalyst 3850 switch, will be featured in the new Cisco Catalyst 4500E Supervisor Engine 8E, extending wired and wireless convergence to chassis-based switches. 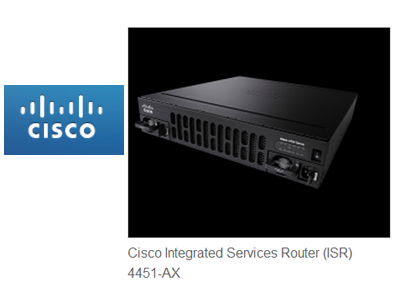 Cisco Integrated Services Router (ISR) 4451-AX addresses the needs of the largest, most demanding branch offices, extending the branch router portfolio up to 2 gigabit forward performance with native services and pay-as-you-grow purchase model. ISR 4451-AX enables IT professionals to deploy application services in minutes and includes native WAN optimization with a services aware data plane for LAN-like experience at the branch. Cisco Aggregation Services Router (ASR) 1000-AX provides application services for WAN aggregation by integrating Application Visibility and Control and AppNav with Virtual Wide Area Application Services (vWAAS) into the most popular customer configurations. 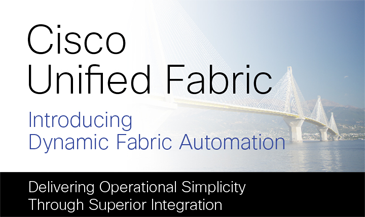 The product announcements coincide with this week's Cisco Live! event in Orlando, Florida. 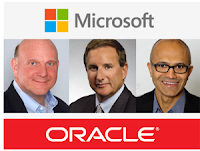 Microsoft and Oracle announced a partnership that will enable customers to run Oracle software on Windows Server Hyper-V and in Windows Azure. Under the pact, customers will be able to deploy Oracle software — including Java, Oracle Database and Oracle WebLogic Server — on Windows Server Hyper-V or in Windows Azure and receive full support from Oracle. Microsoft will also offer Java, Oracle Database and Oracle WebLogic Server to Windows Azure customers, and Oracle will make Oracle Linux available to Windows Azure customers. Financial terms were not disclosed. "Microsoft is deeply committed to giving businesses what they need, and clearly that is the ability to run enterprise workloads in private clouds, public clouds and, increasingly, across both,” said Steve Ballmer, chief executive officer of Microsoft. “Now our customers will be able to take advantage of the flexibility our unique hybrid cloud solutions offer for their Oracle applications, middleware and databases, just like they have been able to do on Windows Server for years." "Our customers’ IT environments are changing rapidly to meet the dynamic nature of the world today,” said Oracle President Mark Hurd. “At Oracle, we are committed to providing greater choice and flexibility to customers by providing multiple deployment options for our software, including on-premises, as well as public, private, and hybrid clouds. This collaboration with Microsoft extends our partnership and is important for the benefit of our customers." Radisys introduced its MPX Operating Software (MPX-OS) as the new foundation of its media processing portfolio, including the company’s purpose-built MPX-12000 MRF platform and Software MRF. 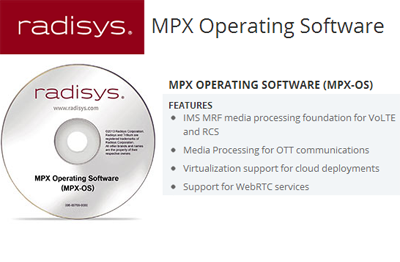 Radisys said the new MPX-OS provides the common media processing software foundation for current and future Radisys products and a key enabler for VoLTE, RCS and OTT services. "MPX-OS is an exciting development from Radisys, providing the common media processing software foundation for current and future Radisys products,” said Manish Singh, CTO, Radisys. “MPX-OS also broadens our media processing expertise into new markets, offering our application partner and service provider customers improved economics, flexibility and interoperability as they roll-out interactive communication services. And by engineering MPX-OS for virtualized deployments in the cloud, operators can deploy these services with maximized OPEX and CAPEX savings." 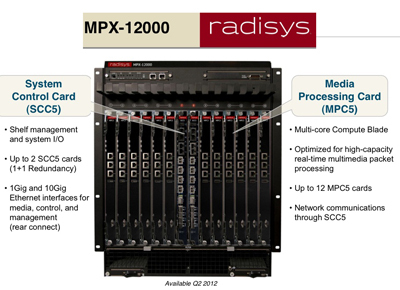 Radisys' MPX-12000 Broadband Media Processing platform, which is based on the company's 40G ATCA open platform technologies, is specifically designed to provide mobile and IMS network operators the capacities, capabilities and reliability essential for monetizing real-time wireless broadband communications, including mobile video and voice over LTE (VoLTE). Specifically, the platform offers huge scalability in performing the Multimedia Resource Function (MRF) in LTE IMS networks. 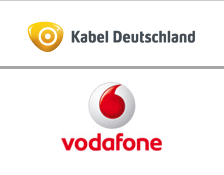 Vodafone launched a bid to acquire all shares in Kabel Deutschland Holding AG in a deal valued at EUR 7.7 billion. The offer values Kabel Deutschland at EUR 87 per share, representing an increase of 37 percent on the last share price before takeover speculation emerged. The companies said a merger would strengthen the market position of Kabel Deutschland and the range of services it offers. Within Vodafone Group, Kabel Deutschland would remain a separate legal entity with its headquarters in Unterfoehring (near Munich). Kabel Deutschland (KD), Germany’s largest cable operator, offers its customers digital, high definition (HD) and analog TV, Pay TV and DVR offerings, Video on Demand, broadband Internet (up to 100 Mbit/s) and fixed-line Phone services via cable as well as mobile services in cooperation with an industry partner. The company operates cable networks in 13 German federal states and supplies its services to approximately 8.5 million connected households. As per end of fiscal year 2012/13, Kabel Deutschland had approximately 3,600 employees. In the fiscal year 2012/13 (12 months ended March 31, 2013), the Company reported revenues of EUR 1,830 million and an Adjusted EBITDA of EUR 862 million. 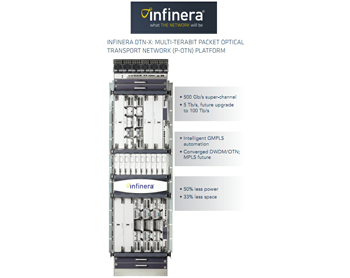 Infinera has demonstrated its converged packet-optical technology and Transport Software Defined Network (SDN) on an Infinera DTN-X network at Nissho Labs NETFrontier Center in Tokyo. Key aspects of the demonstration included Ethernet packet aggregation, VLAN switching, and transport of MPLS pseudo-wires with signaling over 500G super-channel based OTN ODUflex transport. The demonstration of Transport SDN featured a prototype Open Transport Switch running on the Infinera DTN-X and working in conjunction with an external SDN controller and various network applications. The SDN controller provisioned bandwidth services on demand across a network comprised of DTN-X nodes using the OpenFlow protocol. The demonstration further leveraged service-ready super-channel capacity, flexible Bandwidth Virtualization, and a standards-based control plane to provide an optimal platform to deliver Transport SDN functionality with the DTN-X. 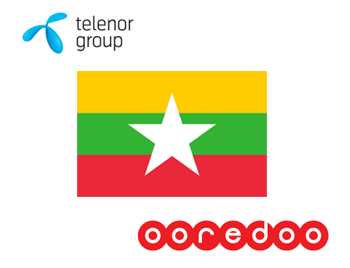 Telenor Group awarded a three-year global frame agreement to Alcatel-Lucent to supply mobile Internet optimization for Telenor’s 2G, 3G and 4G networks in Europe and Asia. The deployment will use ConteXtream’s Session Control to manage end-to-end sessions across the network, automatically directing video traffic to Opera's Skyfire based on rules or policies decided on by the operator. Opera’sSkyfireRocket Controller and Optimizer optimizes video streams and web in real-time on a per device, user and session basis, thereby improving quality of experience, reducing bandwidth and increasing mobile network capacity. Alcatel-Lucent is also providing its Velocix 7810 Transparent Caching to temporarily store popular content closer to subscribers, as well as its 9900 Wireless Network Guardian to monitor service quality and provide network analytics. Alcatel-Lucent said the solution will help Telenor address the challenges caused by mobile users accessing over the top (OTT) video from sites like YouTube or Netflix. ConteXtream creates a virtualized service abstraction layer, enabling a wireless service provider to more quickly add new applications and network services. 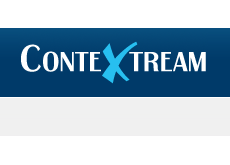 ConteXtream’s Service Provider-SDN solution identifies and steers traffic to the specific subset of network functions needed to support each subscriber flow, enabling greater network efficiency, and providing improved network management and subscriber visibility. Existing network functions, as well as the ones being newly introduced, benefit from this deployment. They include content filtering, spam filtering, customized billing, distributed caching, video optimization, TCP optimization, ad insertion, and network and subscriber analytics. In May 2013, ConteXtream announced that a Tier 1 mobile operator in the U.S. had selected its solution. The company is based in Mountain View, California with R&D in Israel.